Different countercultural generations have different references, usually borrowed from what they have culturally available and accessible around them. The pre-digital ones could count on physical media delivering static and dynamic content, in a quite limited quantity. The digital natives and post-digital ones have been surrounded by screen-based content with almost limitless access, so what kind of possible alternative cultures have conglomerated, beyond the shallow and trend-biased reports of traditional media? 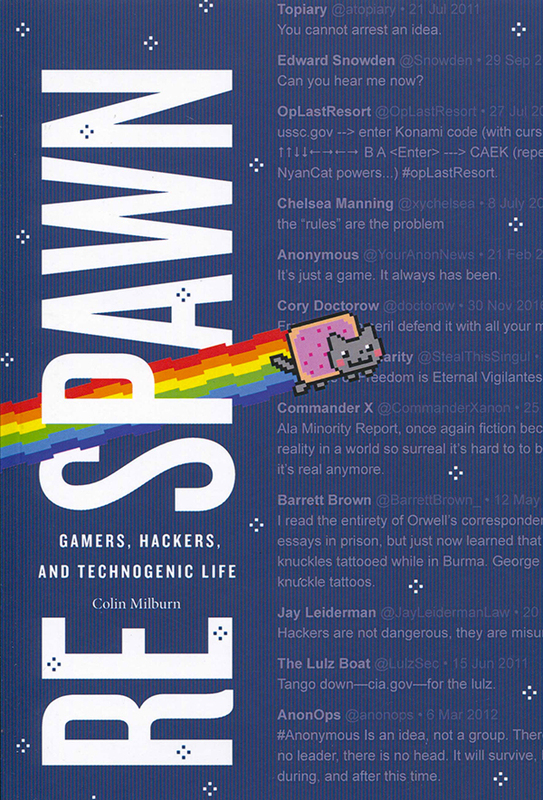 Milburn gives a direct answer, focusing on a specific, yet global, culture, which is at the intersection between video games, hacking and science fiction, amply spread among both modern activists and technology-oriented communities. Video games remain at the core of this culture, offering iconic elements (either in the form of sentences or visuals) crossing time, genres and platforms, largely consecrated as memes. This is a detailed and precise account, with a clear narrative that identifies the course of the elements used and their evolving style and context. But among the many intertwined stories, the clever quotes and the endless virtual environments, what keeps emerging is a strong value of responsibility, taking sensible decisions, showing a proper understanding of what Milburn calls as “technogenic life”.